PUMA collaborated with luxe streetwear brand STAMPD on a dope collection. Merging a reinvention of PUMA’s sporting heritage with STAMPD’s knowledge of modern youth culture, to create the cutting edge street style of the future. Chris Stamp, a west coast ‘Avant Street’ influencer, founded STAMPD in 2011 and received the GQ award in 2015 for Best New Menswear Designer in America. His line has evolved into contemporary luxury while retaining its iconic styling cues. STAMPD embraces modern youth culture, creating high quality streetwear products mixed with simple forms for the every-day consumer. The PUMA x STAMPD collaboration boasts a luxury performance athletic line that appeals directly to the modern high-street trend of today. The footwear collection encapsulates the collaboration, combining the development of classic sportswear with the creation of new innovative streetwear. STAMPD has included key silhouettes such as the R698 and developed an entirely new shoe in the Trinomic Sock. The R698 x STAMPD is a perfect mix of PUMA performance technologies and iconic running heritage, featuring rich soft leathers and an embossed STAMPD logo at the tongue. In contrast to the R698 twist on a PUMA classic, the Trinomic Sock is sport-meets-fashion – exhibiting the cutting edge nature of the collaboration. 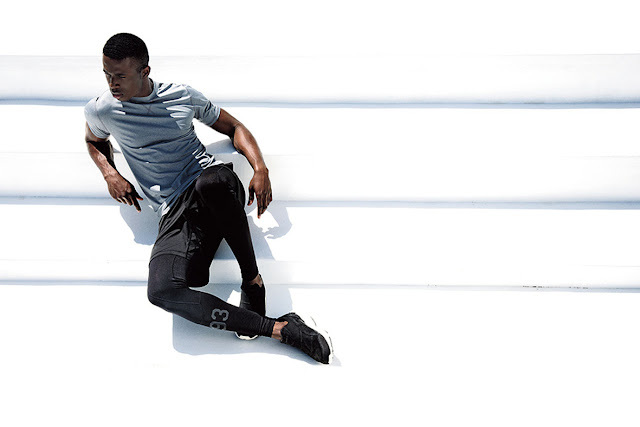 The STAMPD Athletics by PUMA apparel range pushes the boundaries of streetwear. Staple colours grey, black and white occur throughout, pulling focus towards the impressive design and forward thinking features. Key styles include STAMPD Tech Leggings (R799), constructed with yoke panelling with a hidden back pocket featuring embroidered eyelets. Other standouts include the STAMPD Windbreaker (R3 999), Oversized Tee (R799), Nylon Gilet (R2 699) and Baseball Tee (R899), executed in sport fabric with a high-end fashion twist. 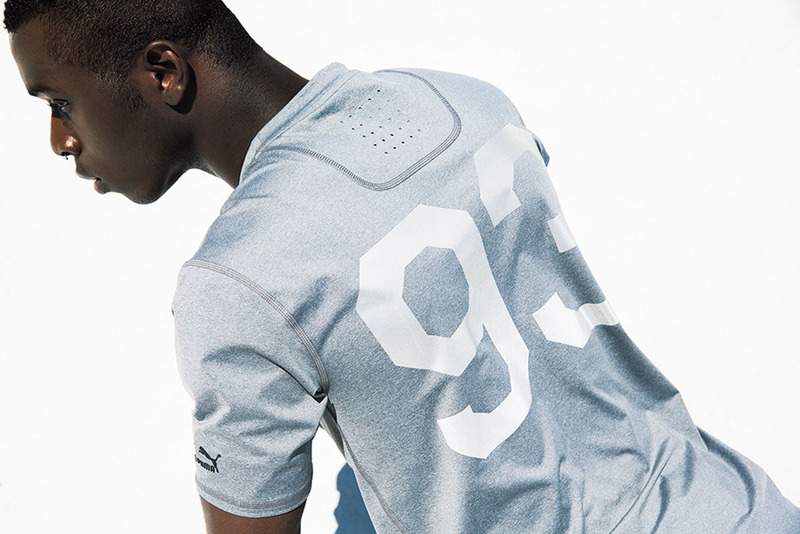 PUMA x STAMPD can be found at PUMA SELECT stores in Cape Town, Bree Street and Johannesburg, Braamfontein, as well as X–Trend and Lyme, from tomorrow (3 September 2015). 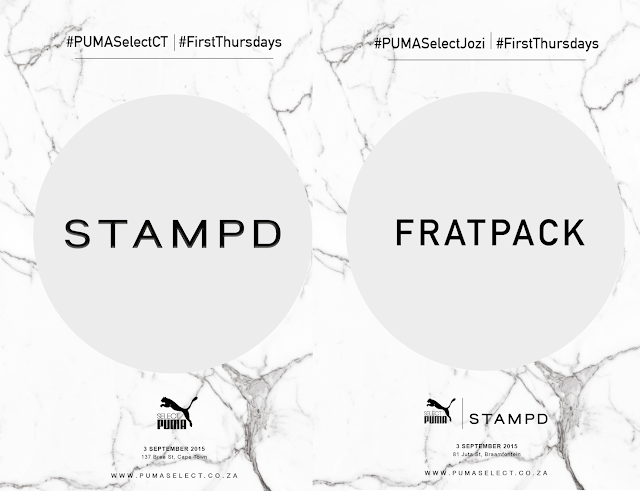 You have the opportunity to see and shop the collection tomorrow at PUMA SELECT stores in Cape Town (Bree Street) and Joburg (Braamfontein) as it is #FirstThursdays. Drinks will be available in both cities and @fratpacker will be performing in Joburg. Follow @PUMASouthAfrica and #stampdPUMA and/or #PUMASelectZA to join the conversation.